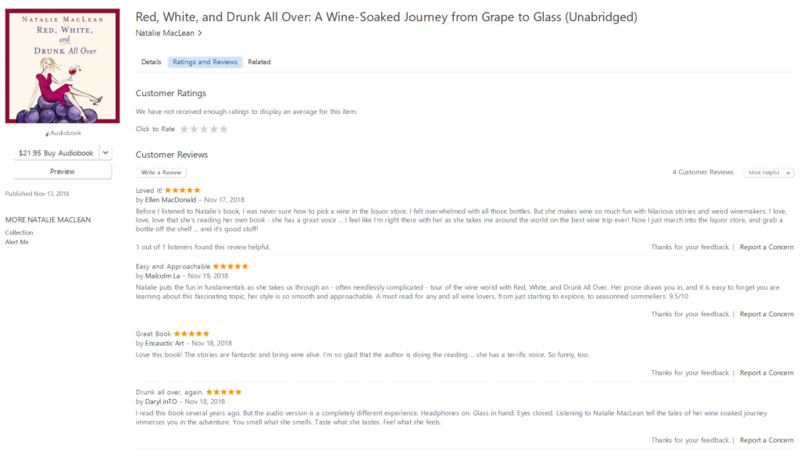 Just wanted to let you know that the new audiobook edition of my first book Red, White and Drunk All Over: A Wine-Soaked Journey from Grape to Glass is now live! It’s available on Amazon.ca, Amazon.com and other country-specific Amazon sites; iTunes.ca, iTunes.com and other country-specific iTunes sites; Audible.ca and Audible.com. Just fyi, Chapters/Indigo doesn’t sell audiobooks, other than CDs. P.S. 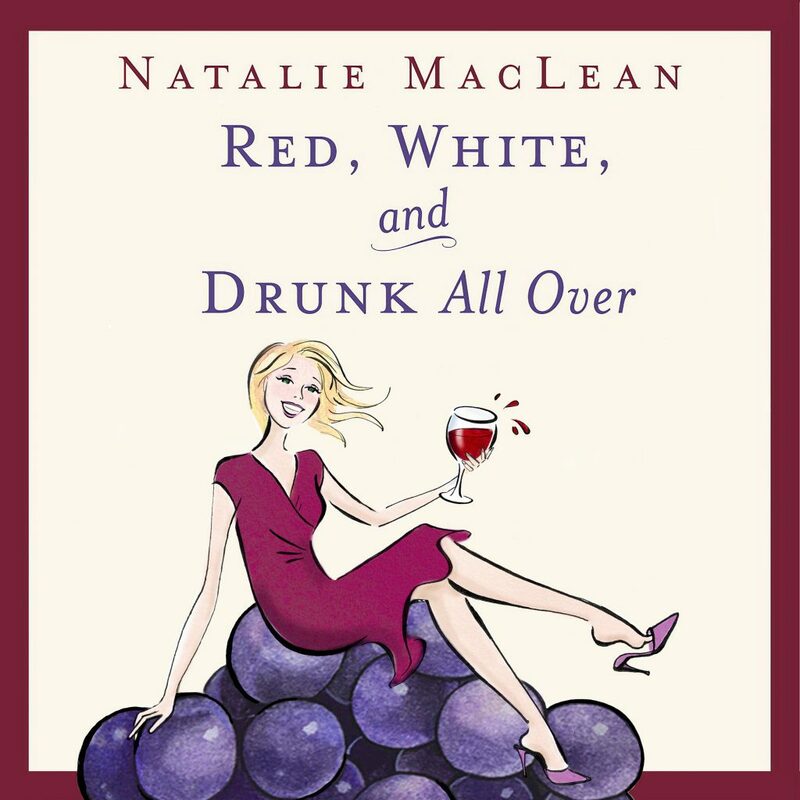 Tag me on social media if you enjoyed the book: @nataliemaclean and @natdecants on Facebook; @nataliemaclean on Twitter; @nataliemacleanwine on Instagram; and @nataliemaclean on LinkedIn. 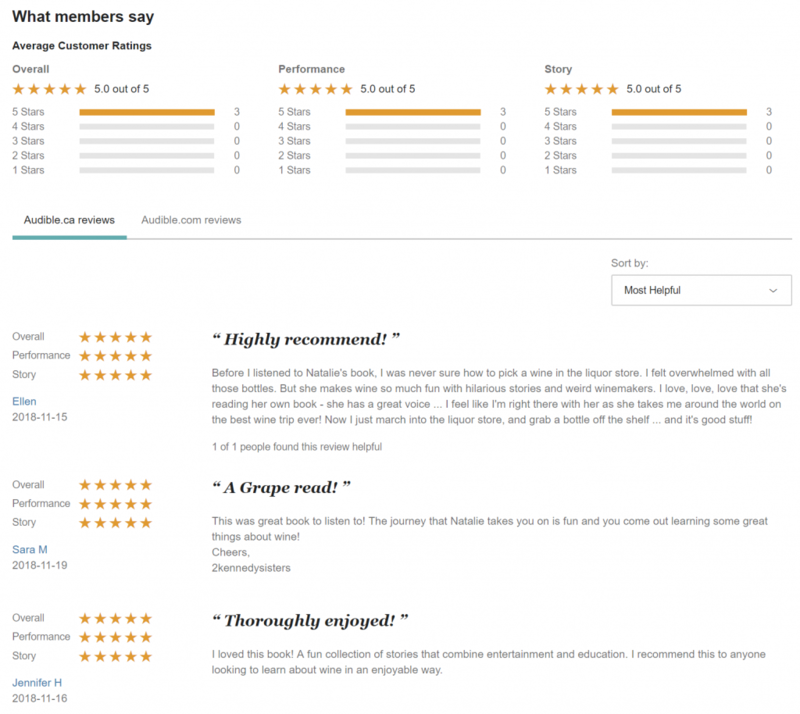 You can find reviews for the hardcover and paperback editions here.